This offer entitles you to an extra 10% off Beds and Furniture.This offer cannot be used on existing orders, in conjunction with any other offer or on Tempur, Caroline Gardner, clearance or ex-display items. At Clifford James, our aim is to deliver great quality products to your door for exceptional values. This week,treat yourself to some comfort with our Suede Slip Ons, Lightweight Expanding Trousers or Deluxe Folding Guest Bed. These casual shoes are perfect for a range of summer activities. With luxury suede uppers, twin elastic inserts and cushioned insoles, they are made with your comfort in mind. The slip ons feature a cushioned ankle collar and pull-on heel tab for easy access. A handy heel and toe bumper ensures these shoe remain scuff free. The shoes are finished off with a robust, sure grip soles for long lasting regular wear. Currently buy any two pairs for £35. These lightweight expanding trousers feature 2 side/hip pockets and 1 button down rear pocket. Their side adjusting waistband means that you can enjoy the comfort and freedom of movement as you go about your day to day activities. PLUS, buy two for £30. Convenient yet comfortable, this folding guest bed provides practical extra sleeping space to any visitors to your home. Easy to move and store, the sturdy frame, slatted base and the 4 inches deep comfortable mattress combine to ensure a great night’s sleep for guests of all ages. When your guests leave, you can simply fold the bed into an upright position and roll it away on its castors to store away neatly. Measuring 79cm (W) x 186cm (H) x 38cm (D) open and 73cm (W) x 106cm (H) x 30cm (D) closed it’s the ideal addition to any home. PLUS, save £50 off RRP. As well as our 15% offer We currently have a fantastic 50% off our Mala range. Please can you put this on your site. This offer entitles you to the entire Mala range at Half Price.This offer cannot be used on existing orders and is not applicable on clearance or ex-display items, or in conjunction with any other offer. Deeplink URL - please ensure to replace '!!!id!!!' with your publisher ID. We have got a great online offer for you! On top of our current up to 40% offer, we also now have an 'Extra 15% off your purchase' for our customers also for 1 week only! This offer entitles you to an extra 15% off your purchase.This offer cannot be used on existing orders, in conjunction with any other offer or on Tempur, Caroline Gardner, clearance or ex-display items. WE HAVE 5 INCREDIBLE FLASH SALES THIS WEEK ON K&Co!!!!! Don’t forget to replace !!!id!!! with your affiliate ID! WE HAVE 5 INCREDIBLE FLASH SALES NEXT WEEK ON LITTLEWOODS!!!!! Please get this set up on your site Now, only one week left! Please note we have a very good online offer on the web at the moment. This offer entitles our customer to up to 40% off as well as an "Extra 10% off Mattresses." This offer entitles you to an extra 10% off mattresses.This offer cannot be used on existing orders, in conjunction with any other offer or on Tempur, clearance or ex-display items. Great deals at K&Co this Mothers Day! Surprise her this Mother's Day with something special from K&Co! Great savings and gift ideas for Mothers Day at Very! There's so much too choose from for Mother's Day! Friday 2nd May – Monday 5th May 2013. This week at Feather & Black we have a fantastic Extra 10% off Beds and Furniture. Please put the following code on your site. 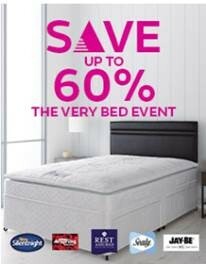 This offer entitles you to an extra 10% off beds and furniture. This offer cannot be used on existing orders and is not applicable on Clearance or ex-display items, or in conjunction with any other offer. I hope you are well and having a great day so far. In addition to these fantastic savings, Dreams also offer free delivery on beds and mattresses and a '40 night comfort guarantee' so be sure to take a look. With so many fantastic offers available it would be great to get these offers posted on your sites where possible. If you have any questions, please be sure to get in touch. Feather & Black - Extra 10% Off Offers! T's & C's: This offer entitles you to get 10% off wooden beds & furniture. This offer cannot be used on existing orders and is not applicable on Wardrobe Solutions, Sofa beds, Tempur products, Limited Edition, Bed and Mattress deals, Home fragrance, Clearance, Ex-display items or in conjunction with any other offer. T's & C's: This offer entitles you to get 10% off kids beds, furniture and bed linen. This offer cannot be used on existing orders and is not applicable on Wardrobe Solutions, Sofa beds, Tempur products, Limited Edition, Bed and Mattress deals, Home fragrance, Clearance, Ex-display items or in conjunction with any other offer. Feather & Black - Exclusive Offer! We are offering our affiliates an online exclusive code that’s running from today till 06/02/2013. 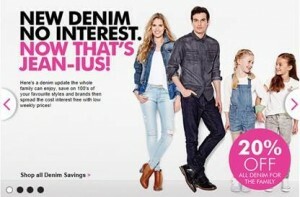 Offer:- Extra 10% Off Your Purchase* – Including Items That Are Already In Sale! All the customer will need to do is quote code FEB10OFFER at the checkout to receive this discount. *This offer entitles you to get 10% off your purchase, including Sale items. This offer cannot be used on existing orders and is not applicable on Wardrobe Solutions, Sofa beds, Tempur products, Limited Edition, Bed and Mattress deals, Home fragrance, Clearance, Ex-display items or in conjunction with any other offer. Feather & Black - This Week's Offers! Our Winter Sale has been Extended! We have great news - Our Winter Sale has been extended for 2 more weeks! Until 10/02/13 we have further discounts off selected items. All the customer will need to do is quote code FURNITURE15 at the checkout to receive this discount. *This offer entitles you to get 15% off selected furniture. This offer cannot be used on existing orders and is not applicable on Wardrobe Solutions, Sofa beds, Tempur products, Limited Edition, Bed and Mattress deals, Home fragrance, Clearance, Ex-display items or in conjunction with any other offer. All the customer will need to do is quote code FURTHER10 at the checkout to receive this discount. *This offer entitles you to get 10% off selected Beds. This offer cannot be used on existing orders and is not applicable on Wardrobe Solutions, Sofa beds, Tempur products, Limited Edition, Bed and Mattress deals, Home fragrance, Clearance, Ex-display items or in conjunction with any other offer. 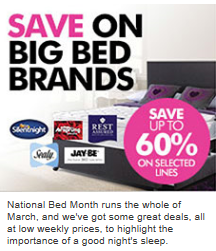 *This offer entitles you to get 10% off selected Mattresses. This offer cannot be used on existing orders and is not applicable on Wardrobe Solutions, Sofa beds, Tempur products, Limited Edition, Bed and Mattress deals, Home fragrance, Clearance, Ex-display items or in conjunction with any other offer. As the weather is getting colder we would like to offer you a warm up for the Autumn and exclusive extra 10% and 15% off code for this week*. All the customer will need to do is quote the code ORDERV12 at the checkout. * This offer cannot be used on existing orders. This offer is not applicable on Wardrobe Solutions, Sofa beds,Tempur products, Limited Edition, Bed and Mattress deals, Home fragrance, Clearance, Ex-display items or in conjunction with any other offer. Don’t miss our Hot Product Picks this week! 15% off Bedroom Event ends Monday! Voucher Code - 15% off Mirrors online ends Monday! Unmissable offers from Dunelm Mill! 15% off Bedroom Event - exclusively online! Miss It Miss Out Offers! Many of the best selling items that we carry at Love Pets come from our great selection of dog beds - which for a limited time only are available with savings of up to 70%! We have over 200 hundred to choose from in different styles, colours and sizes so that all dogs and their owners are sure to find something they like. This truly is one of our biggest ever offers and we fully expect a huge increase in affiliate sales if this gets promoted by all our partnerships. There is no need for customers to enter a code at the checkout to claim the discounted prices, the link attached will take them directly to the full list of available products. Below are a selection of some of the most popular beds that carry some of the biggest savings. A simple, yet very popular dog bed with our biggest saving of 70% on its original price! This product simply rolls up into its bag and can be transported when necessary. Then it can be rolled out in a second when cosiness is required. With the Jubilee and Olympics just around the corner, the Union Jack branded products are flying off the shleves everywhere and there is no difference when it comes to pet products and this fantastic looking dog bed. It is deep filled to provide extra comfort for your dog and is currently available at almost half price at just £22.99.